Andrew McCutchen has signed a six-year, $51.5 million deal with the Pirates, plunging the city of Pittsburgh into a swirling state of joy and shock. 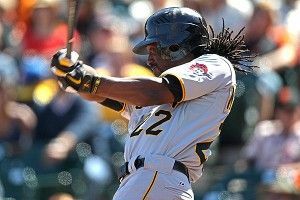 A first-round pick by the Pirates in 2005, McCutchen was a high school draftee who developed his tools into refined skills during his time in the minors. In his two-plus seasons in the big leagues, he’s become one of the best all-around center fielders in baseball — hell, one of the better all-around players in the game, period. Over the past few years, virtually every team has been aggressive about locking up players with a strong pedigree and impressive numbers to long-term contracts well before they hit the open market. because they barely had any. Pittsburgh’s biggest flaws were evident in the draft and international markets, where years of bad picks prevented the Pirates from developing top-flight talent. That clarification aside, the Pirates’ misguided miserliness (along with lousy talent evaluation) certainly played a big role in their inability to convert years of high picks into premium talent. That fact, combined with the broader ill will fostered by 20 years without a playoff appearance (or even a .500 season!) has made cynicism the norm. Just read what happens when a writer expresses even mild optimism for this team. Finally, Pirates fans have reason to smile. As Dave Cameron noted at FanGraphs, McCutchen already ranks among the best center fielders in the game in his first three seasons at 12.9 Wins Above Replacement, despite advanced metrics like UZR bizarrely hating his defense in 2010. With a going rate for free agents of just under $5 million per win, this deal sets up as a potential steal, even after accounting for the four years of control the Pirates already had over their star center fielder. Still just 25 years old, McCutchen offers additional upside, with the skill set to contend for multiple MVP awards between now and the end of this contract. The deal buys out four years of arbitration plus two years of free agency — three free-agent years if the Pirates pick up the potentially very reasonable $14.5 million club option in 2018. The bigger picture paints the Bucs as a team now fully committed to investing in young talent, both at draft time and once those players graduate to the big leagues. They spent a staggering $5 million to convince elite outfield prospect Josh Bell to forgo college. They’ve anted up for big-time pitching prospects like Jameson Taillon and Gerrit Cole. They gave Jose Tabata a six-year, $15 million contract last August, which means the Pirates have two-thirds of their outfield lined up past through the next two presidential elections and beyond. Former owner Kevin McClatchy made a series of excessively thrifty and wrong-headed moves during his tenure before handing organizational control to Bob Nutting and Frank Coonelly in 2007. That new regime, along with General Manager Neal Huntington, has made its shares of mistakes too, of course. But you’ll never hear this group take the stage at the draft and tell the world how thrilled they are to land a potential no. 3 starter with the top overall pick, the way the old regime did when they took Bryan Bullington over B.J. Upton a decade ago. That represented reasonable progress. Now, in signing McCutchen to a virtually identical deal to the ones Justin Upton and Jay Bruce got with the Diamondbacks and Reds, the Pirates have taken the next step. They’ve established themselves as a team that can not only find and develop great players, but also keep them through their prime years. So rejoice, good people of Pittsburgh. You’ve now got the most beautiful ballpark in the majors, and one of the most beautiful-to-watch players on the planet for the next six or seven years. This season could extend the losing drought to 21 years. Bet it doesn’t last much longer.